The day started with a new arrival! 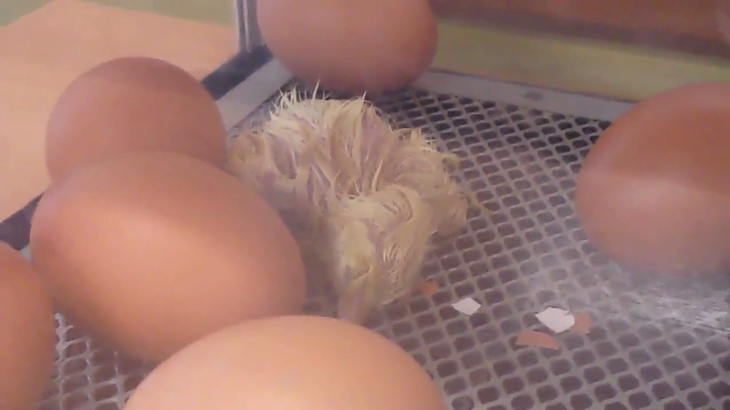 Throughout the morning our first chick hatched out of it's shell. It now needs to stay in the incubator until it's feathers have dried out and looking bright and fluffy. The chick can stay in the incubator for up to 24 hours as they do not need anything to eat or drink at this stage. The chick will not be moved until another chick has hatched so that they can be moved together to their new home.